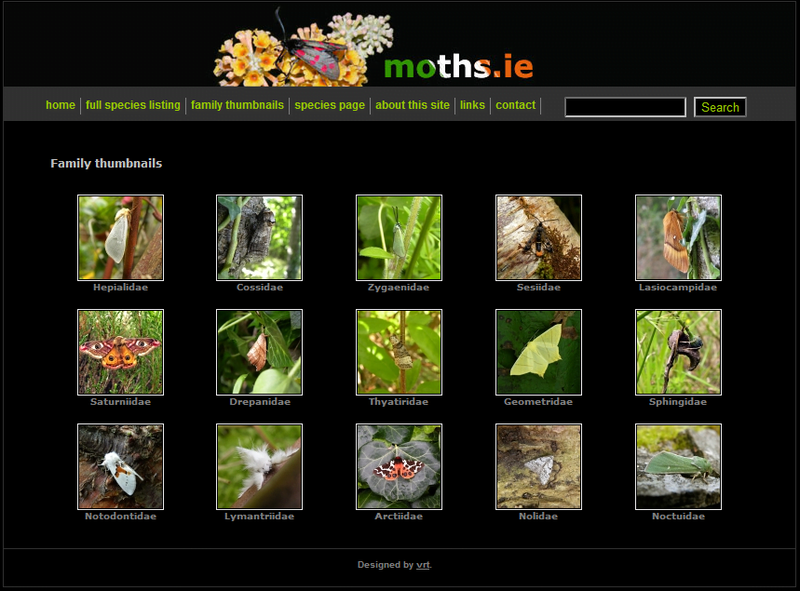 Moths.ie is a really useful starting point if you’ve seen an Irish moth and are looking for a quick ID. The family thumbnails let you quickly “narrow the field”, while the detailed species pages let you pinpoint with relative certainty exactly which species you’re looking for. While there really is not substitute for a good moth field guide, if you don’t have one handy, and are looking for a quick ID an online photographic guide like Moths.ie can be invaluable. We have around 1,350 moth species in Ireland, compared to around 37 species of butterfly… so the sheer diversity of this often underappreciated insect group is staggering. It’s well worth taking a closer look at our moths – some of which are absolutely stunning creatures that can rival any butterfly in the looks department. Don’t forget to bookmark moths.ie – it’s a site you’ll keep going back to. Thanks for posting all the helpful information. Burial ground in the middle of an abstract watercolour, falling to earth .. Guess that’s nuts but it felt ok.
Do you know anything about whales seals and sharks, how are they getting on etc around the coast. Hi Liz… thanks for the comment, glad you like the site. In general sightings of marine mammals are on the increase around Ireland, although that’s probably partly down to increased observer effort as more people become aware that they are out there and look out for them some large whale populations are thought to be on the increase. You’ll find more information / sighting details on the Irish Whale and Dolphin Group website http://www.IWDG.ie. You’ll also find details of basking shark records on the IWDG site, and more info on the sharks and Irish based research on http://www.baskingshark.ie. The last few years have seen record numbers of basking shark sightings around the Irish coast. I’m not too sure about the situation re. seal populations, but I do see seals regularly around the coast, and they seem to be doing OK. We’re fortunate that the waters around Ireland support an abundance of wildlife, but pressure on the marine environment is increasing all the time, and it’s important to take care of what we have now if we want to preserve and enhance it for the future. Thank you for the links . I saw a nolidae moth ! If I have the spelling right , in the garden today , a very beautiful creature. Nice to know it’s name .